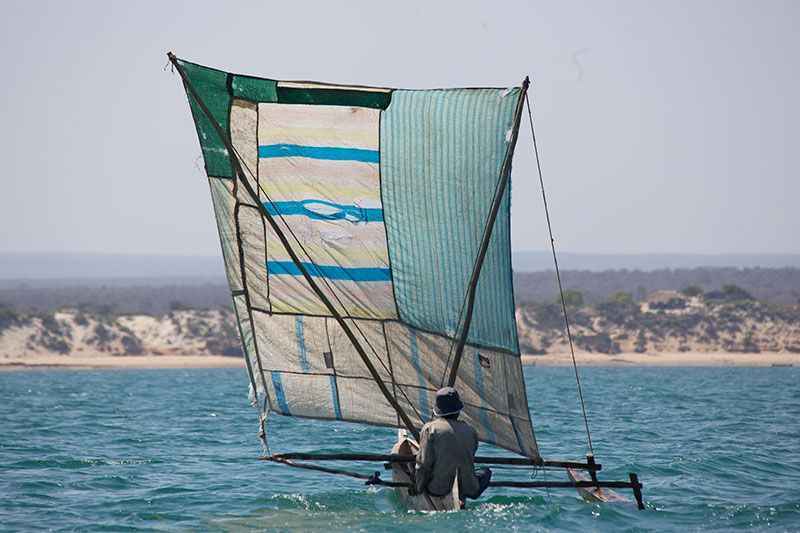 Pearls of the Indian Ocean is a unique adventure visiting three incredible islands which are Australia’s distant neighbours. Our 22-day tour is an exciting mix of extraordinary flora and fauna, spectacular scenery and vibrant culture as we visit Mauritius, Reunion and Madagascar. Our adventure begins with an Air Mauritius flight to Reunion via Mauritius. 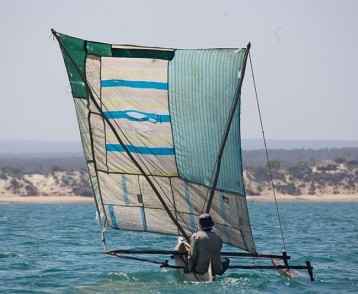 Far from a beach destination, Reunion is a tantalising ‘pin prick’ in the Indian Ocean. 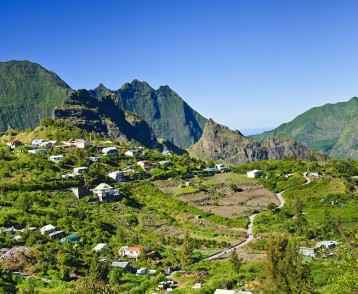 It is an island of exquisite waterfalls, mountains, canyons, and lively Creole villages – all lying in the shadow of Piton de la Fournaise, one of the most active volcanoes in the world. 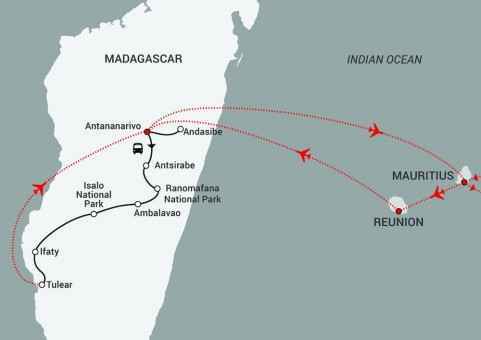 Our next stop is Madagascar. This unique island is like somewhere out of a Jules Verne novel; there is simply no place like it on the planet! 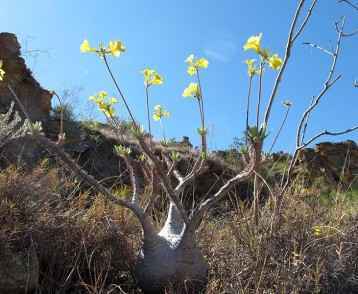 Millions of years of evolution have bestowed on Madagascar astonishing flora and fauna, of which 80% can be found nowhere else on earth. We explore the vibrant capital, Antananarivo – affectionately known as ‘Tana’ by the locals – before heading to the central highlands and the southern part of this extraordinary island. Flying back to Tana, we then head by road to Andasibe where we visit Lemur Island and meet the unique Indri Lemur – the largest of all lemurs, often described as looking like a two-year-old in a panda suit, due to its upright posture. Finally we head to the incredibly beautiful island of Mauritius where we stay at the idyllic Sands Resort and Spa. During our three-day stay we will experience the unique culture of this diverse nation including visits to both a tea factory and rum distillery. A relaxing end to our remarkable visit to the ‘Pearls of the Indian Ocean’! Please note that whilst every effort will be made to adhere to the above pricing, currency fluctuations beyond our control can affect final tour costs. A booking form is to be completed by all passengers, and a non-refundable deposit of AUD $3,000 paid at the time of booking. All escorted tours are based on a minimum group size of 10 people travelling. Depart from your chosen capital city to connect with the flight from Perth. On arrival in Reunion we transfer to our hotel. Today we set out for Reunion’s incredible natural wonder, the Cirque de Cilaos. Driving on a dramatic road that twists and turns through tunnels and across bridges we reach a scene of immense natural beauty. 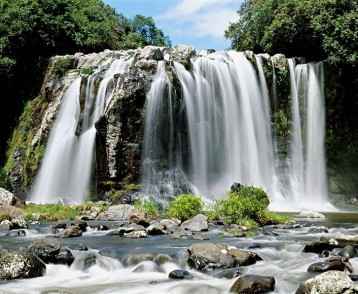 Here we see fields of flowers, forests of indigenous trees, soaring rock walls and magnificent waterfalls. 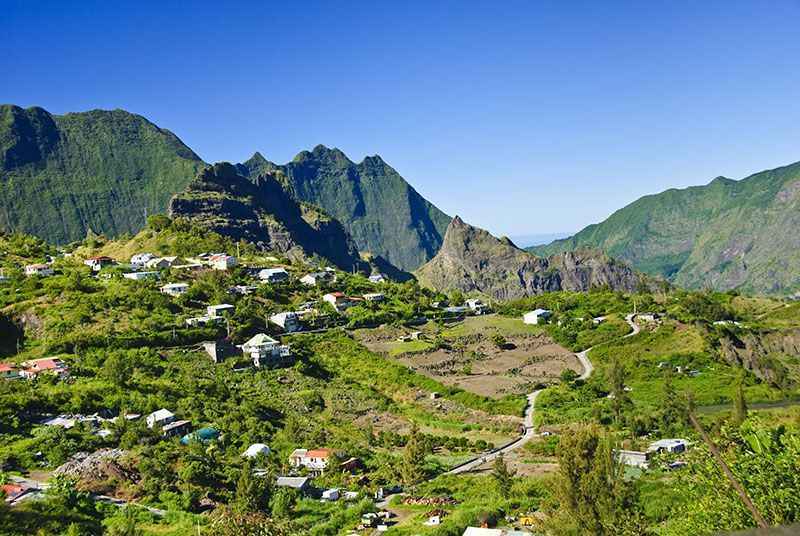 In the afternoon we explore a typical Reunion Island village with its local handicraft market and hot springs. 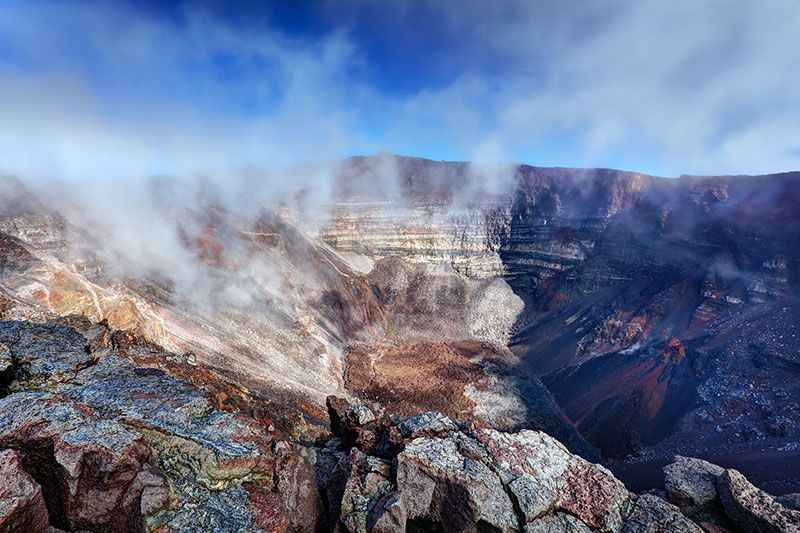 Reunion is the home of one of the world’s most active volcanoes, Piton de la Fournaise. 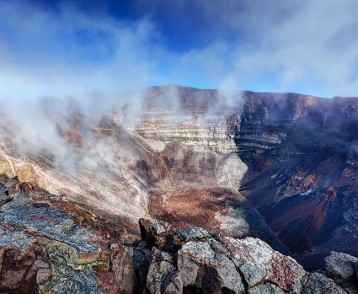 The volcano first erupted some 50,000 years ago while the last big eruption occurred in 2004. After breakfast we enjoy a helicopter flight over the volcano and surrounding area. The afternoon is at leisure. Following breakfast this morning we transfer back to the airport for the onward flight to Madagascar. 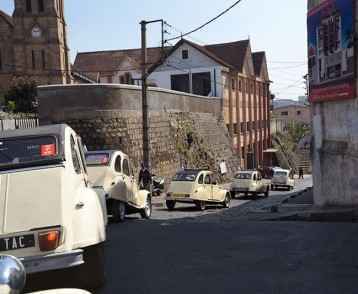 On arrival in Antananarivo we clear customs and transfer to our hotel. This morning we head out to the UNESCO World Heritage site of the Summer Palace of Ambohimanga. This is the palace considered to be the cradle of Madagascar and from where the King, in the 1780s, proclaimed that ‘only the sea is the limit of my kingdom’. In the afternoon we explore the city of Tana, as it is affectionately known by locals. Located between two mountains, it’s a terraced city of low-rise buildings which form a labyrinth of arches, narrow paths, balconies and staircases. Tana’s architecture is very European and our hotel is located in a district known as ‘Little Paris’. This morning we drive south, passing through typically beautiful highland country before reaching an area known for its sisal and raffia baskets. 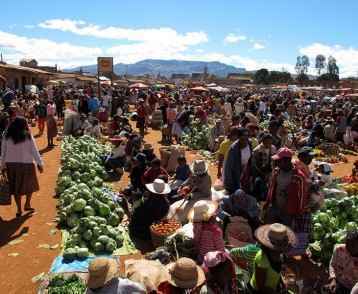 We then continue to Antsirabe or ‘the place of salt’, as it is known by locals. 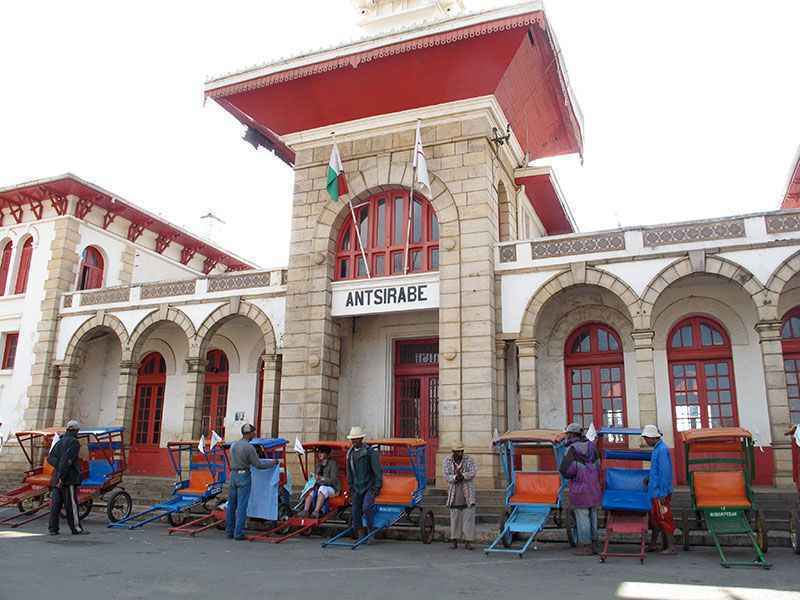 After breakfast we take a city tour of Antsirabe, a former spa town founded by Norwegian missionaries in 1872. The third biggest city in Madagascar, it is the rickshaw capital of the island and, of course, our tour this morning is by this mode of transport. 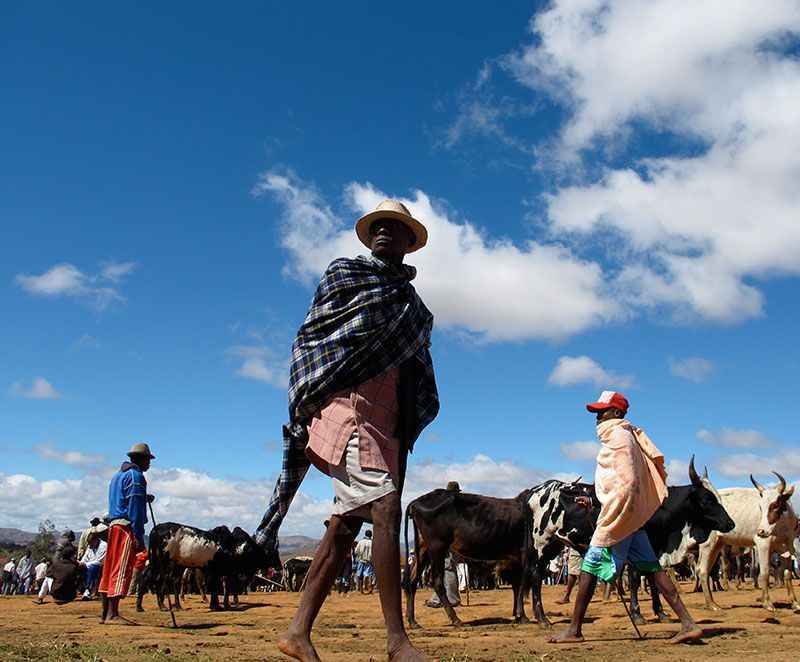 As we explore the city we visit a zebu (ox) horn workshop as well as a miniature toy factory. Heading further south, we soon reach the woodcarving town of Ambositra. We stop here to see perhaps some of the most unusual and skilled craftsmanship to be found anywhere in the world. Some of the intricate carving and inlay work is simply stunning. Soon after Ambositra we start to see people dressed in the traditional clothing of the area, the colourful pancho lamba. Reaching the turnoff for Ranomafana National Park, we follow the Namorona River to arrive at our destination. Today is a special one, as we enter the magnificent 41,000-hectare rainforest that is home to the golden bamboo lemur. Discovered only in 1986 and found nowhere else in the world, this lemur feeds exclusively on a native bamboo, which contains cyanide and is found only in this area. This rainforest is also home to a dizzying array of reptiles and other species of lemur. This evening we take a night walk to discover frogs, chameleons and the nocturnal mouse lemur, which is the smallest primate in the world. Leaving Ranomafana, we continue our drive south through the highlands. Soon we reach the lovely town of Ambalavao. Here the houses have beautifully carved balconies and shutters. This town marks the border of the highlands and the province of Fiarantsoa. This morning we take a short drive to the Anja National Park. 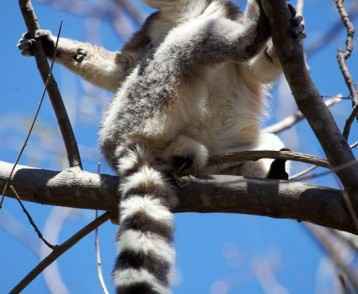 Dominated by a magnificent granite dome, this small park is home to more than 300 ring-tailed lemur, the national animal of Madagascar. We then continue across the Horombe Plateau where the vegetation and landscape change dramatically. 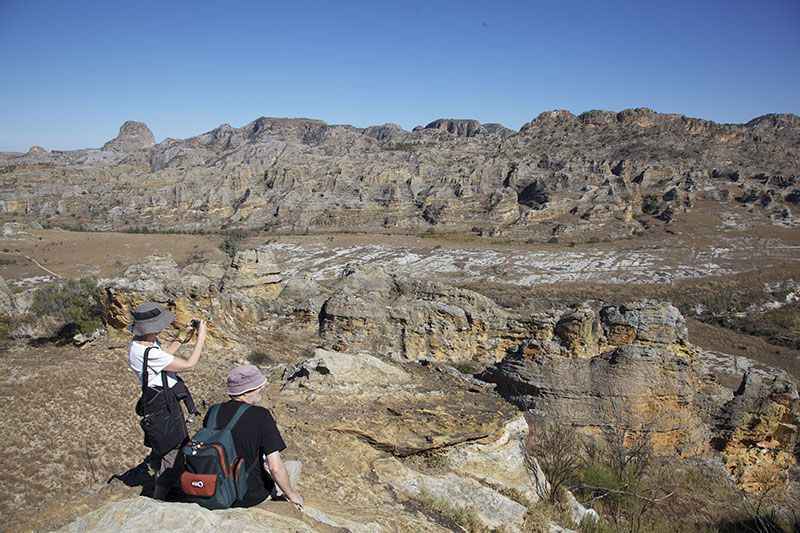 Finally we descend to the fringes of Isalo National Park. 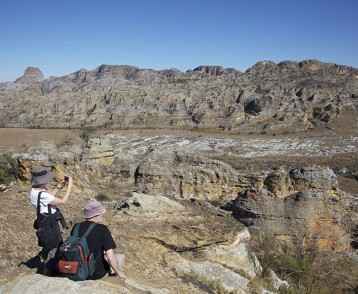 Encompassing the entire length of the Isalo massif, this 81,000-hectare national park is characterised by vast eroded sandstone formations. Along the trail there are some Bara burial sites that line the path as it passes through scenery resembling the Grand Canyon. Soon we descend further and come across an oasis where tumbling waterfalls form a natural swimming pool. 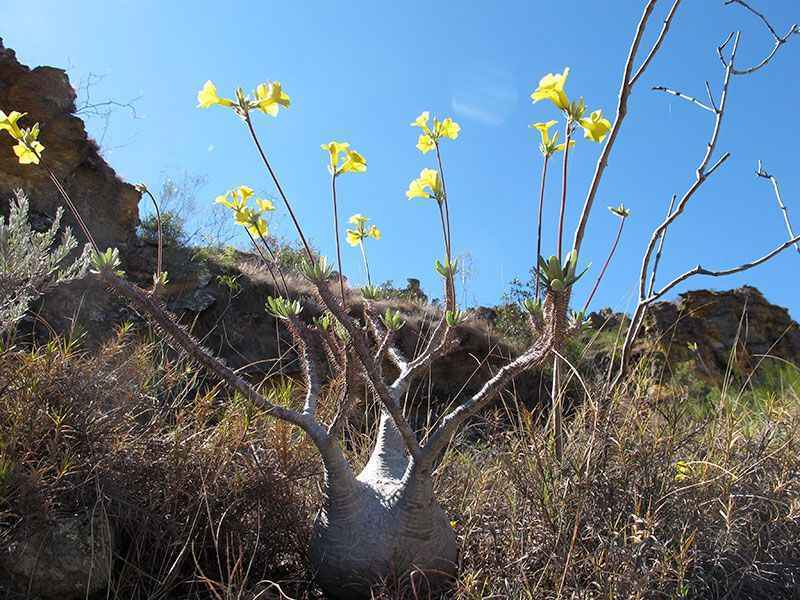 This kingdom is home to an amazing array of flora, which is unique even in Madagascar. After lunch we return to our hotel where the afternoon is at leisure. After breakfast we start our journey to Tulear (Toliara) in the southwest of the island. 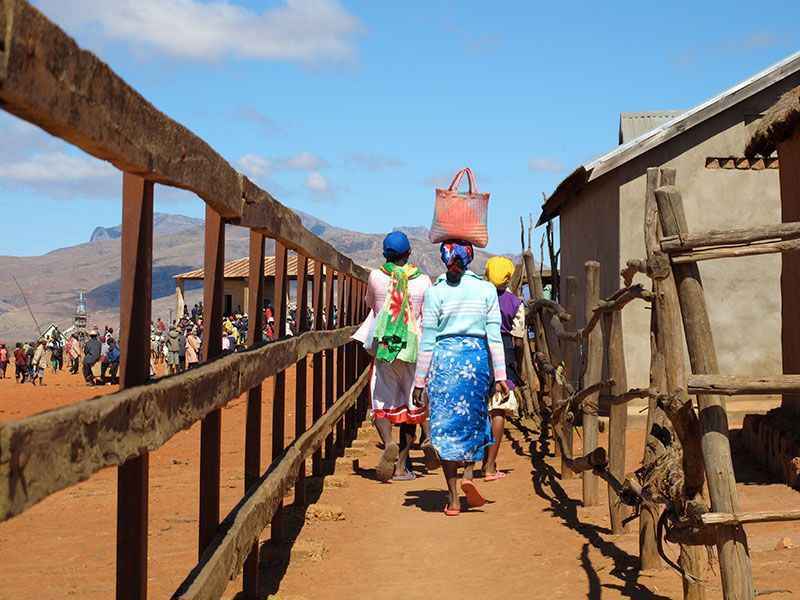 Soon after leaving Isalo, we come across towns reminiscent of the gold rush in California. Here we see extraordinary scenes of people panning for sapphires along small streams. 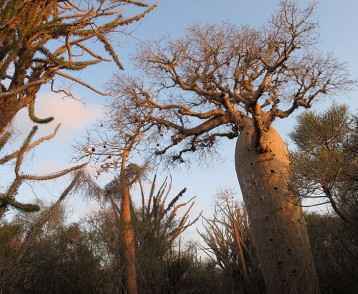 Soon after we see our first ancient Baobab trees as we enter the silver grey spiny forest which finally gives way to the azure waters of the Mozambique Channel. After lunch in Ifaty we explore the incredible botanical gardens where we can see Octopus trees and Baobab trees the height of skyscrapers! 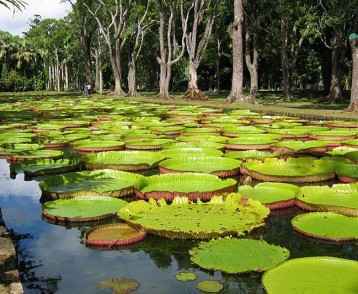 The vegetation of this park is 90% endemic to Madagascar. 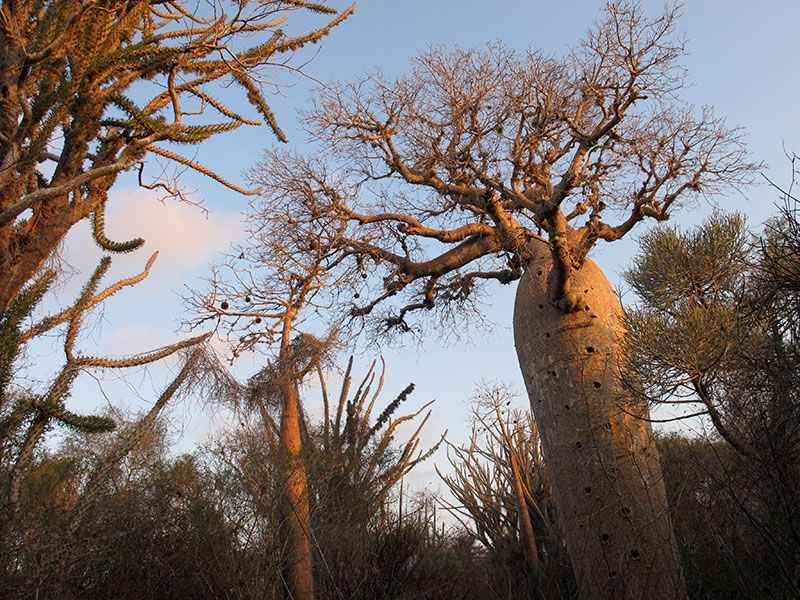 This evening we enjoy an exclusive candle-lit dinner beneath a 1200-year-old Baobab tree. 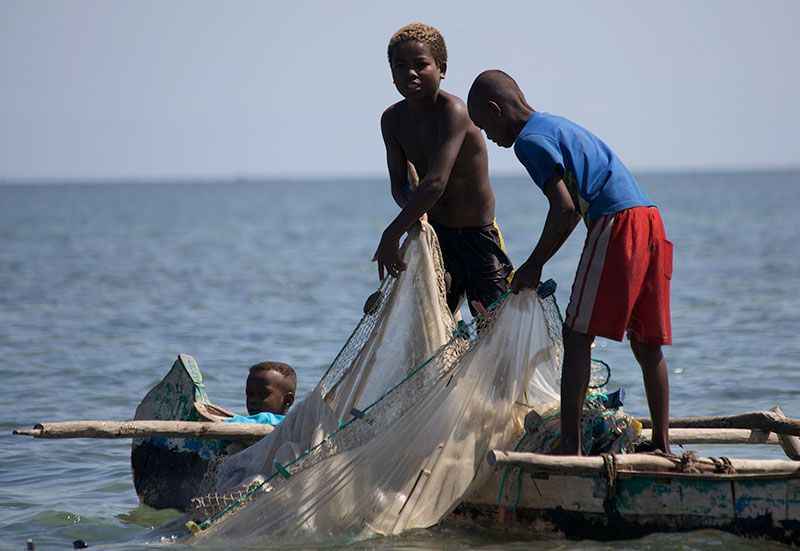 The economy in and around Ifaty is centred on fishing. For generations the people of this area have fished employing the same traditional techniques that are used today. We visit the fascinating village of Ambolimailaka and meet fishermen and local Vezo people who inhabit this part of the island. A unique part of the country, this is a fantastic opportunity to experience the ‘Zanzibar quarter’ of Madagascar. This morning we transfer to Tulear airport for our domestic flight to Tana. On arrival we transfer to Andasibe. The drive takes us through granite outcrops and then through a mosaic of paddy fields and lovely Merina villages that form the highlands of Madagascar. Perhaps the most important national park in Madagascar, Analamazaotra is home to the largest lemur in the world, the Indri. Entirely endemic and unable to exist in captivity, this vegetarian lemur resembles a panda. It has no tail, walks on two legs, and can reach a height of more than three feet. It is sometimes described as looking like a four-year-old in a panda suit. 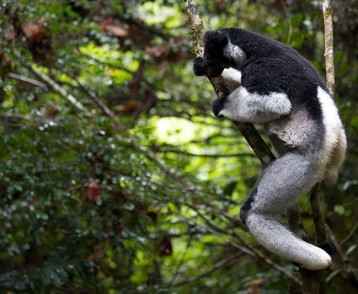 The Indri is monogamous and when one partner dies, the other will continue mourning for its spouse for the rest of its life. 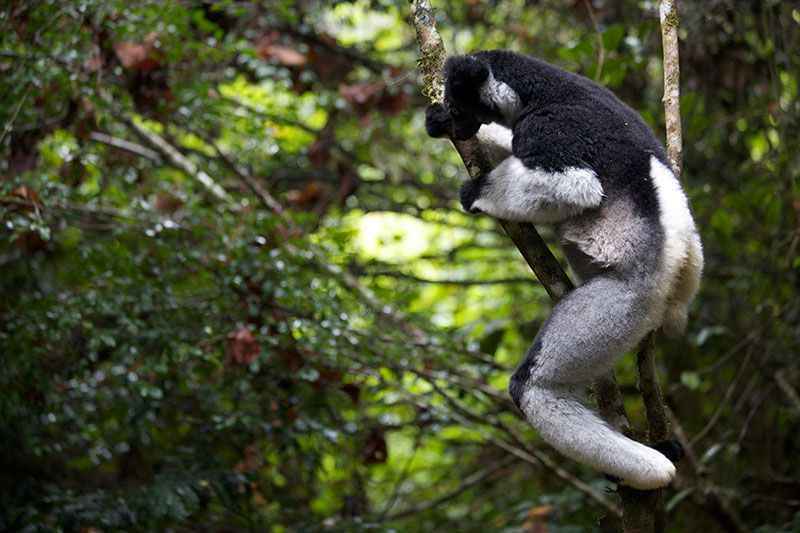 The Indri is found only in this park and today there are only about thirty families in existence. 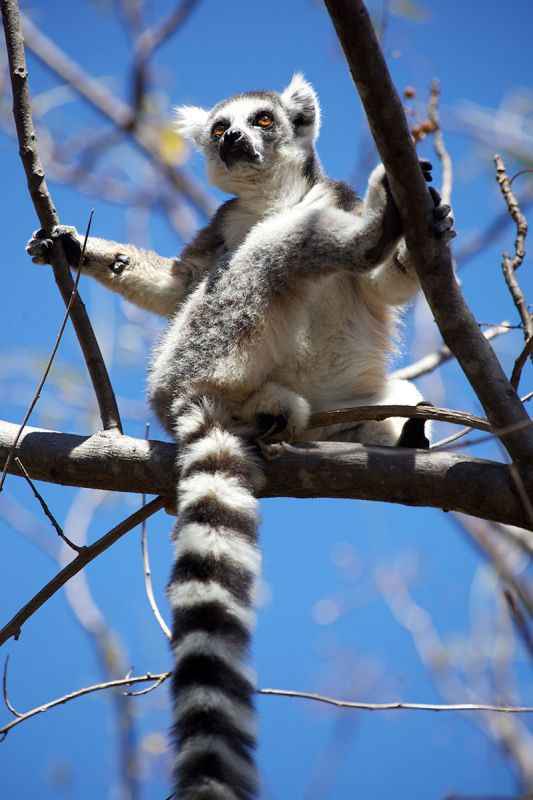 This afternoon we travel to the Perinet Reserve where we visit Lemur Island. Here we have the opportunity to interact with the five species of semi-tame lemurs that live here. 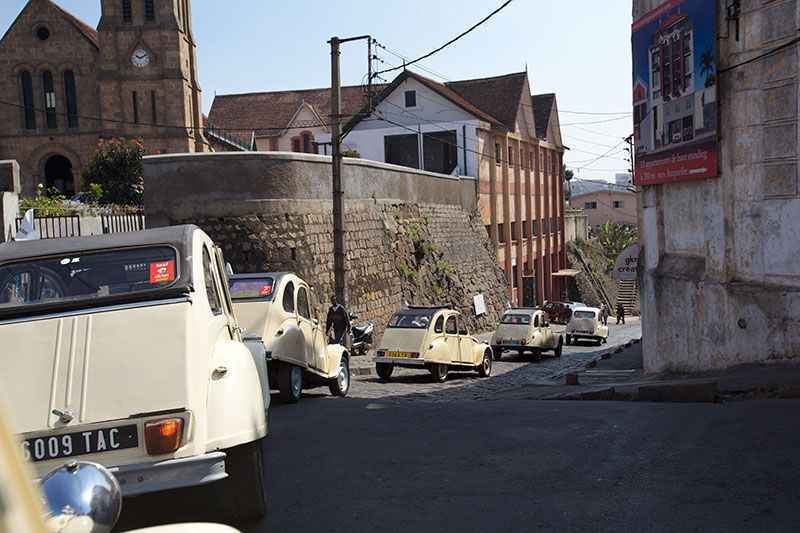 Today we travel back to Antananarivo and transfer to the airport for our flight to Mauritius. 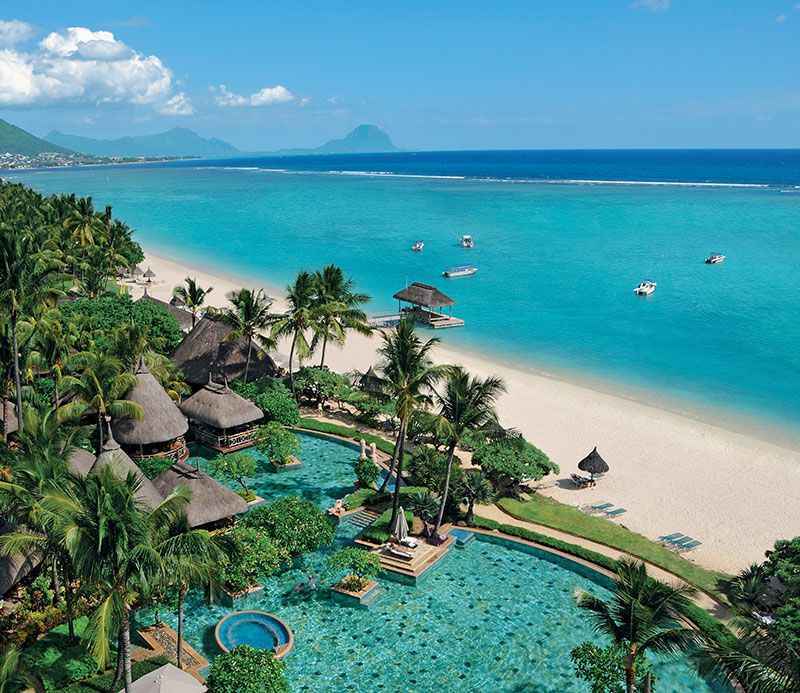 On arrival in Mauritius we transfer to The Sands Resort & Spa located at Flic en Flac on the west coast of the island. The resort is located on one of the most pristine stretches of beach overlooking the translucent blue and turquoise lagoon of the Tamarin Bay. This morning we head to the south east coast of the island to visit the Frederik Hendrik Museum. Located at Old Grand Port, it is considered a historical site bearing witness to the Dutch and French colonial settlements on Mauritius. The museum is surrounded by a luxuriant tropical garden and includes an exhibition of artefacts found during archaeological excavations of the area. Reproductions of historical paintings and maps from the 17th Century are also on display. After lunch we visit the historic bay which witnessed the battle between the Napoleonic Navy and the British. Today we visit the Bois Cheri Tea Factory and plantation where we see the different stages of tea manufacturing. Depending on the harvest season, we may see workers plucking the tea leaves in the fields in the traditional way. From here we continue to the Grand Bassin sacred lake, also known as Ganga Talao. This crater lake is considered the most holy place for the Hindu community in Mauritius, and one of the most important Hindu pilgrimage sites outside India. Following lunch we tour the ‘Rhumerie de Chamarel’, a local rum distillery where we learn the secret of rum production. The day concludes at the Seven Coloured Earth, a natural phenomenon of sand dunes comprising seven distinct colours: red, brown, violet, green, blue, purple and yellow. 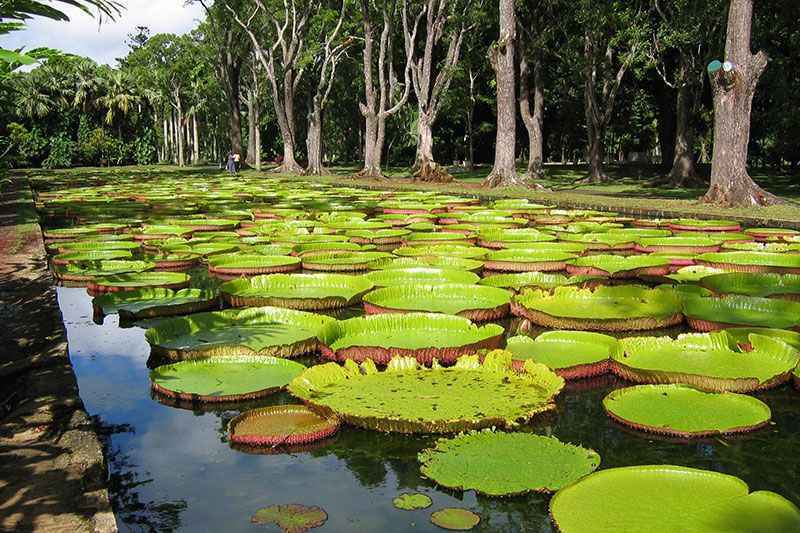 This morning we visit the capital Port Louis, the Pamplemousse Botanical Gardens and the Sugar Museum. We then explore the Colonial House of Eureka and enjoy lunch on the verandah at L’escale. Later we have some free time to stroll around the Le Caudan Waterfront area. This morning is at leisure before we transfer back to the airport for our flight back to Australia. On arrival in Perth we connect with the flight to our chosen Australian city. How long is the flight from Perth to Mauritius? 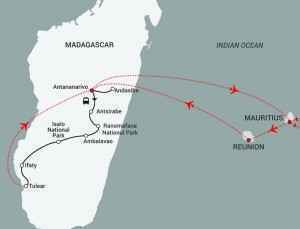 Flying time from Perth to Mauritius is 8hr 35m. How safe are the countries on this tour? Mauritius and Reunion are safe countries. 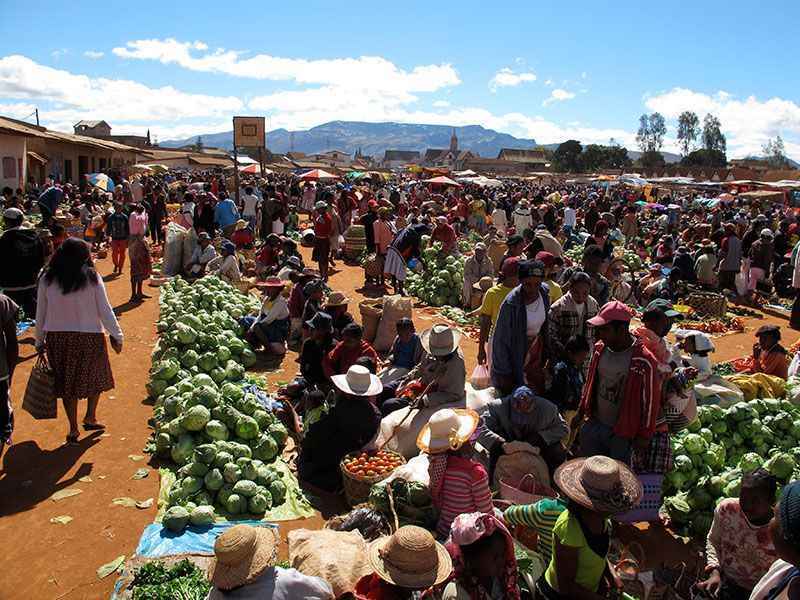 In Madagascar, sensible precautions should be taken in the capital, Antananarivo, as with most large cities. Outside of the capital, the situation is secure. This tour is listed as strenuous. What is the reason? 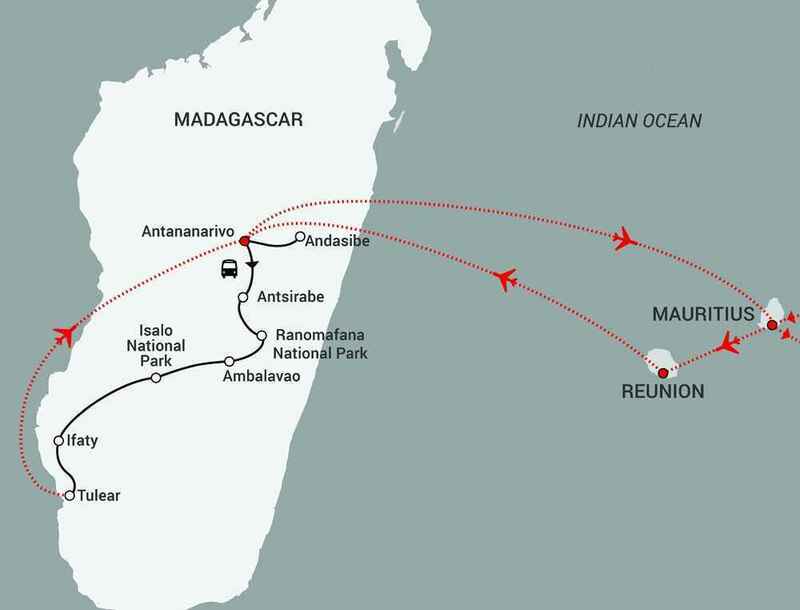 The first part of the tour involving Mauritius and Reunion is not taxing at all, however in Madagascar we visit three national parks, which can only be reached on foot. 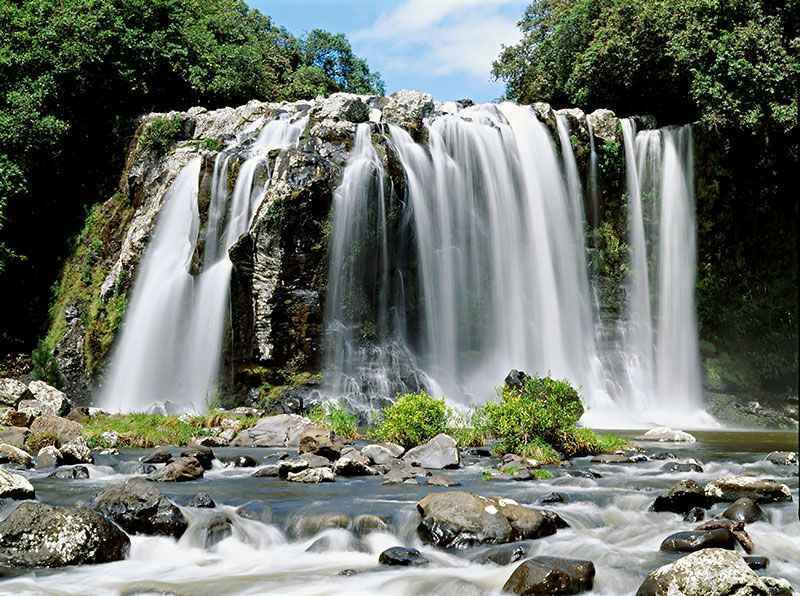 Each national park will require a hike of up to 5kms and the terrain in Ranomafana is particularly hilly. The climate in Mauritius and Reunion in May is warm and clear with temperatures typically in the low twenties. 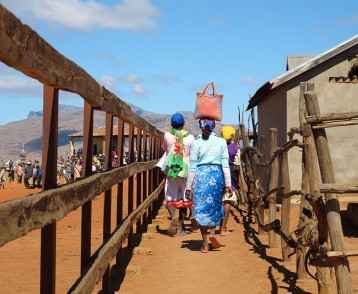 Temperatures in Madagascar, particularly in the highlands, can be surprisingly cool, although the days are typically warm and sunny. Mosquitos are most prevalent in the early morning and evening, so long-sleeved shirts and long trousers should be worn at these times. Earthy-coloured clothing is best for walks in the national parks and we recommend bringing two pairs of comfortable walking shoes/boots and a good fleece. Because almost everything is included, 750 Euros per person is usually ample for the whole journey. However, if you’re a keen shopper and like to buy lots of gifts and souvenirs, you may require more. Credit cards are acceptable and ATM machines are available in Mauritius and Madagascar, but not in Reunion. In Madagascar ATMs are not easy to find outside the capital, Antananarivo, and therefore should not be relied upon as a main source of funds. We recommend vaccination for typhoid, hepatitis A & B, diphtheria and tetanus. You should also seek advice from your doctor. We err on the side of caution on all of our tours and advise travellers to drink only bottled water. This is easy to obtain everywhere. The general standard of hygiene in all three countries is surprisingly high, and as with all of our tours, we hand pick all of our restaurants for their quality and safety. What is the climate like at the time we travel? In Mauritius and Reunion the temperature range is typically 18-24 degrees. 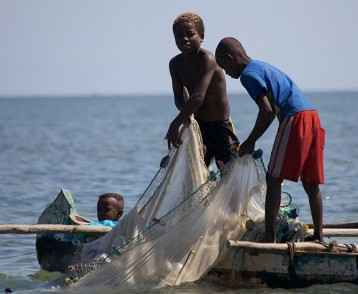 In Madagascar the weather can be cool in the early morning and evening, but generally ranges from 12-26 degrees. We recommend taking a good warm fleece for the evenings. An Australian or British passport holder will need a visa for Madagascar which is granted on arrival at Ivato airport, Antananarivo. The cost of the visa is included in the tour price. We do not believe in a lot of expensive ‘optional tours’. Our itineraries are designed to make the best possible use of time and to include all the must-see sights, plus additional surprises. Therefore, practically everything is included in the tour cost. What is the infrastructure like in these countries? I have heard that Madagascar has many problems? We have had Madagascar on our radar for 10 years. However, it has only been in the last couple of years that we have been confident that hotels and roads were constructed or completed and of a good standard. Our recent thorough reconnaissance to Madagascar has revealed a first-class tourist infrastructure with some resorts of a world-class standard. What currency should I take and are travellers cheques recommended? The currency for this journey is Euros. They should be in low denominations, clean and undamaged. We do not recommend travellers cheques as they can be very difficult and time-consuming to change. Are there internet facilities available en-route? In the capital cities internet facilities are available, however in the country areas there is limited or no internet access. Both Telstra and Optus have partner networks in Mauritius, Reunion and Madagascar. There is no need to tip guides or porters as all tipping and gratuities are included in the tour cost.